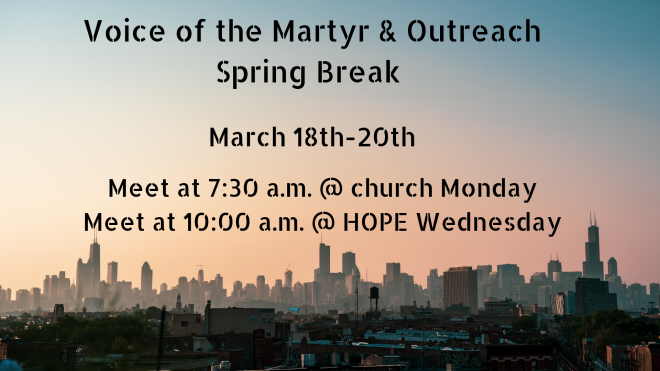 Monday and Tuesday of spring break we will be serving in Bartlesville at Voice of the Martyr. We will come back early Wednesday morning to the metro area and serve here at different locations. If you are unable to join us in Bartlesville but are able to come Wednesday this is a great opportunity to serve. It is $60 per person for the trip. If you are joining us for Wednesday only please wear your Bash t-shirt and $10 will cover your lunch and snacks. Money is due February 27th.